Real-world learning through industry speakers, class trips, case studies, hands on projects involving real organizations as clients, and pratica in all concentrations. Career development from first to final years. Research-intensive culture brings latest business knowledge directly to the classroom. International business programs offered at undergraduate, master’s and PhD levels. Academic programs: Bachelor of Commerce,Entrepreneurship, Minor in Entrepreneurship; Master’s degree in Technology Innovation Management. 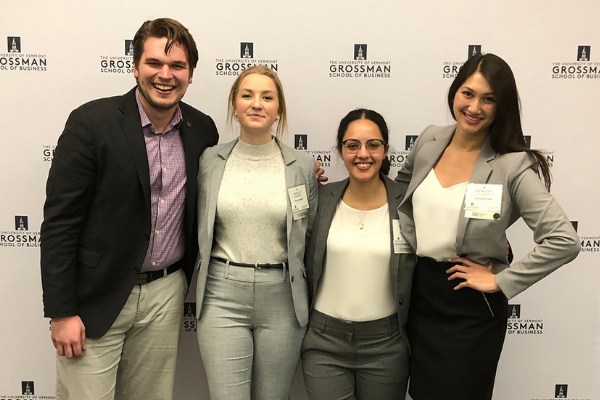 In case competitions, teams must apply the knowledge gained through all of their courses to prepare and present a solution to a real-life business problem, in just a few hours. Sprott’s Bachelor of Commerce (Honours) program delivers a complete business education with the choice of eight concentrations andoptions to add co-op, study abroad, and/or a minor in another subject. In the first two years of the BCom program, you will take courses in all key areas of business. You will also develop critical skills in various forms of business communications, including oral and written presentations.Upper years provide an opportunity to specialize in a concentration, or continue without a concentration. It is also possible to pursue a double concentration.Enhance your degree by taking part in co-op or an international exchange at one of over 175 partner institutions in more than 35 countries. As a co-op student, you will alternate study terms with four or eight month work terms, which begin the summer after second year. Typically, an additional one to two academic terms are required to complete your degree.